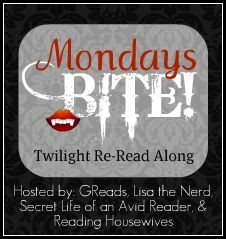 Last Monday we bit right in to Twilight with the first five chapters. This week the read along continues with chapters 6-10. The Reading Housewives of Indiana will be answering Lisa's discussion questions from chapters 6-10, as well as proposing new questions for chapters 11-20. Be sure to check out her blog for all that fun stuff! Below are my answers for chapters 6-10 discussion questions. I will be answering each week, as well as guiding you to the next blog stop for this read along! Make sure you link up at The Reading Housewives of Indiana for this week's discussion post! 1. Because we have to talk about it sometime - are you Team Edward or Team Jacob? 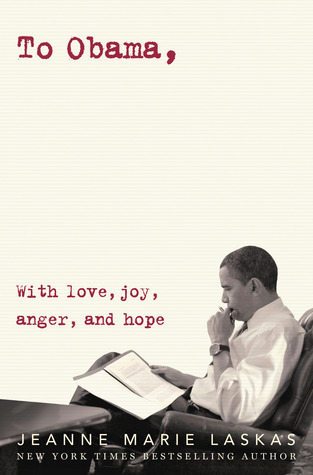 Does that impact how you re-read the book? - TEAM EDWARD ALL THE WAY!!! Even before the movie was cast, and the delicious Robert Pattinson was picked for the part, I was on Edward's team. I tend to fall for the guy who makes things difficult. I never want the protagonist to choose the easy, safe option. Going for the "bad guy", no matter how bad he may be, has always been my calling in the literary world. Edward has a soft side to his badness too, though. He's beautiful, he's strong, and he has the ability to make Bella's heart skip a beat when he enters the room. THAT guy is my kind of guy. 2. Bella spends a lot of her time by herself in her room when she's not at school. What do you think this says about her as a character? Can you relate to her introverted nature? - Stephenie Meyer did a good job of explaining why Bella feels the need to take care of herself and not rely on other people. A lot of that results in her spending time alone, in her room, with her own thoughts. Bella is portrayed as someone who values her individual space. She's not one to be the social butterfly of a party, and she's OK with that. I think that is what is so intriguing about her. If the story was not told from her perspective, we'd wonder A LOT about what's going on inside her head. Sort of like Edward does. I can understand and appreciate Bella's want to be alone. As much as I like to be around others, I also value the importance of having time for just me. I need a quiet space to figure out my thoughts sometimes, too. 3. Probably my favorite chapter of the entire book, chapter eight brings us dress shopping, nearly getting assaulted, and then wraps up nicely with a quaint dinner and confession time. In this we see the blend of typical teenage existence starting to get tainted by the paranormal world. If given the choice right then, would you push to know more about the paranormal, or bury your head in the sand and live the teenage dream? - I honestly don't know how I'd react if there were obvious clues being dropped in front of me about a possible vampire that I am currently falling head over heels for. It sounds exciting though, right? I think the true me would be way more freaked out. 4. Already, it's pretty clear that Bella is falling for Edward. Is this happening too quickly to be plausible, or is it totally reasonable to you? What about Edward do you find to be swoonworthy at this point? - One of the joys of the teenage heart is how uncomplicated it works some times. When you're young, you're more carefree and open to love. As we grow older, we become more jaded and cautious with our hearts. I believe Bella is doing what every teenage girl does, falls madly in love with the boy who takes her breath away. Is it to the extreme sometimes? Probably just a bit. But that's what makes this story so good! I love how gentlemanly Edward is. His manners from another time are represented well, which is another reason why I think he stands out so much to Bella. 5. Jessica has to forcibly remove all of the details on what's going on from Bella, but through that we learn more about how she's feeling and how she's falling for Edward already. If you were in Jessica's shoes, what would you say to Bella? - From the outsider's perspective, who has no clue about Edward being a vampire, I can see how Bella & Edward's new-found relationship may look a bit twisted. He is constantly around "protecting" her. To Jessica, this may seem controlling and not exactly healthy. A true friend would step in and voice their concerns. I love how self-centered Jessica is though. She's not your typical best friend, there's always a motive of "what's in it for her? ", therefore keeping her a bit blinded by what the truth really is. despite my Team Jacob status, i do agree that Edward has gentlemanly qualities. he can be swoon. You're right! Bella does love that Edward is gentlemanly. And I took from the book (and even more from the movie) that Bella is a bit put-off by the immaturity of the other boys at the school. Edward is not immature at all, and that is one of the things that Bella is attracted to initially...the fact that he is a bit different. She can't put her finger on exactly how he is different to begin with, just that he is. I tend to forget that Jessica doesn't know about Edward being a vampire. And I agree that it's a bit of an oversight that she doesn't voice some type of concern for Bella suddenly dating the hot but weird guy. However, I'm giving Jessica a little more credit 'cause she's a better friend in the book than I remember her being. She does give Bella a whole math class to discuss Edward. That's pretty big for her character! lol. I am with you on the Team Edward!! He is certainly swoon worthy! More men should take a few pointers from him! I, too, go for the literary bad guy...must be my subconscious! I agree with you about Bella too. Stephenie did a good job setting up her personality. I also feel that w/ Bella and Edward falling so fast, Bella is an old soul. Her mother even mentions it to Bella, making her kind of skip the teenage scene. I love your answer to #4! It's such a great explanation. I agree about Jessica's motives. I think a big part of her interest in Bella and Edward's relationship has to do with how the outcome will impact her relationship with Mike.